Hi! Danielle from Korker Krazy here again! 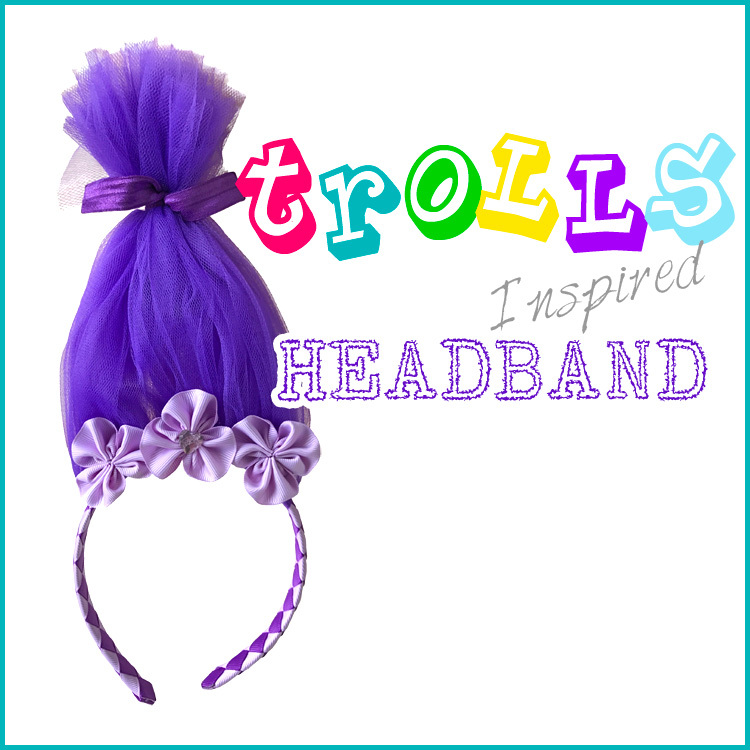 Today I’m going to show you how to make a woven ribbon headband! First, decide on your colors! Next cut 24″ of each color. Heat seal all ends with a lighter. Now decide which colors you want in the center of your headband. I want my Swiss dots in the center so I am going to glue one end of each Swiss dot ribbon to a solid ribbon. 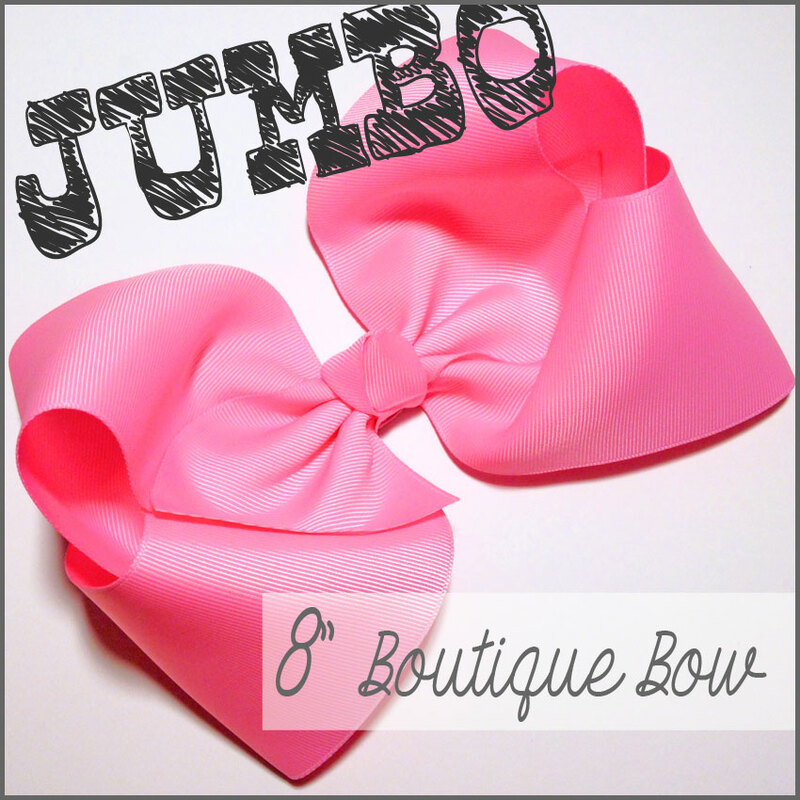 You should now have 2 continuous lengths of ribbon. Now we are going to glue the pieces together in the center to form an “x”. Your prints should be on the bottom when you glue these together. Now we are ready to start on our headband! I want my Swiss dots in the center so they will start on the left side of the headband. Make sure both of the colors you want for the center are on the left side. Step 1: Fold your top right ribbon across the headband (apple green). Step 2: Fold your top left ribbon across the headband (yellow swiss dots). Step 3: Fold your top left ribbon behind the headband (yellow Swiss dots). 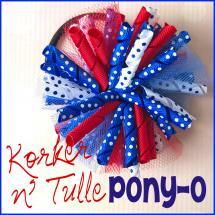 You want this piece on the back of the headband make sure not to overlap any other ribbons. Step 4: Fold your bottom right ribbon across the headband (light orchid). This should be the only ribbon remaining on the right side of the headband. Step 5: Now all of your ribbons are on the left side. Weave your top left ribbon in between the ribbon above it. Hot Pink Swiss dots should be weaved below the apple green and above the light orchid ribbon. You’ve made your first weave!! Now the same pattern continues for the rest of the headband. It’s important to hold your ribbon tightly as you weave. You can also use an alligator clip after each weave to hold it in place. When you come to the other end of the headband use your alligator clip to hold it in place. Step 7: Hot glue the ends to the headband. 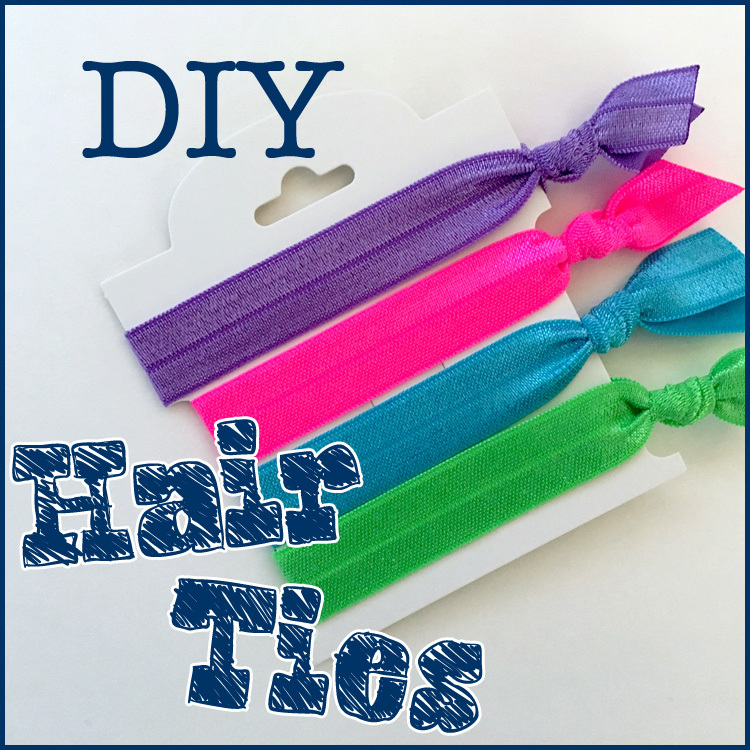 Start by gluing down the ends that will be against the headband. I glued apple green down first. Step 8: Flip your headband over and glue down the end that is against that side of the headband. Light orchid. Step 9: Glue the remaining ribbons down.I glued the hot pink Swiss dots onto the light orchid and the yellow Swiss dots onto the apple green. Step 10: Use your scissors to cut off the excess ribbon. Don’t cut the ribbon too close to the headband. Step 11: Use your lighter to burn the ends of the ribbon. I run the lighter back and forth and press down on the ribbon (quickly – it’s hot!!). You just made your own woven headband, how awesome?! I love making these because they are so versatile – They can be made in so many amazing colors and prints! 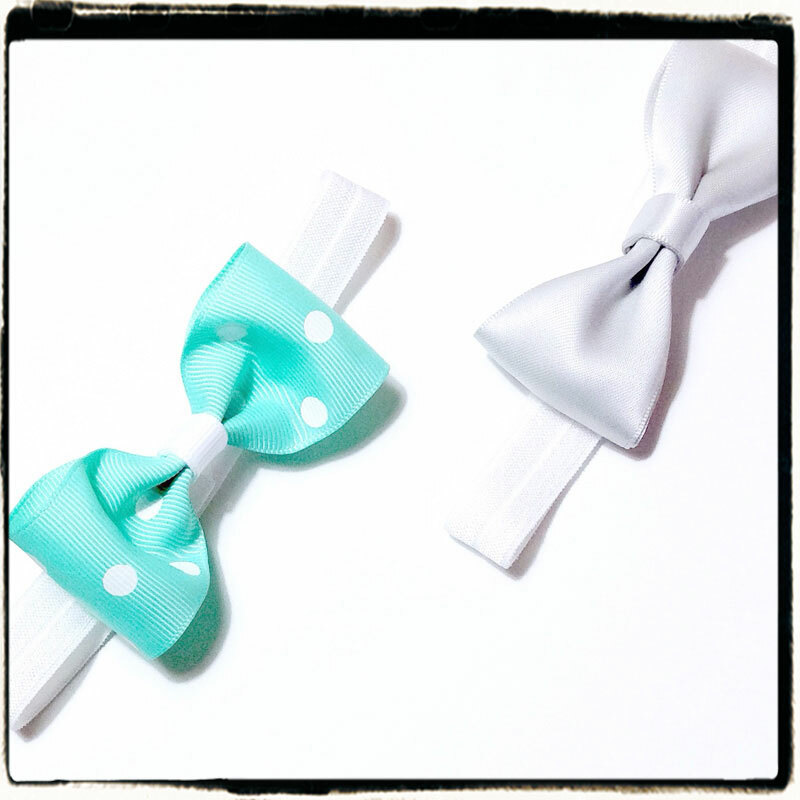 Woven headbands are great to wear alone or a bow can easily clip onto the ribbon. I would love to see your woven headband creations in the comments below!! This entry was posted in headband tutorials, Projects and tagged headband, woven, woven headband on March 4, 2015 by Danielles.